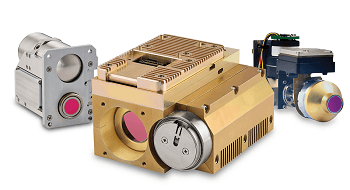 The GFx320 Optical Gas Imaging (OGI) camera from FLIR Systems combines proven, innovative technology with the assurance of third-party certification for use inside ATEX Zone 2 (Class I, Div. II) hazardous locations. 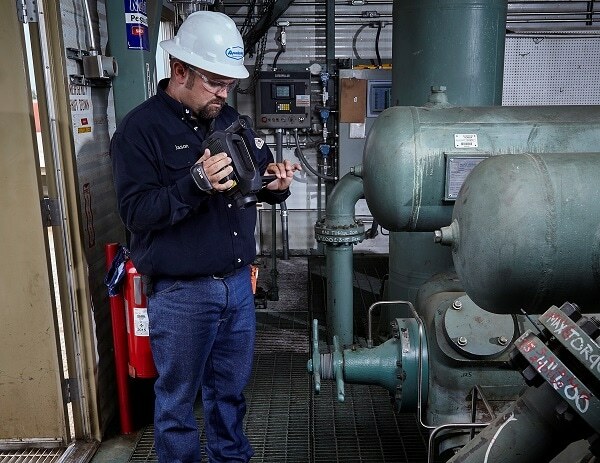 With new stricter global standards for methane emissions, there is a growing need for faster, safer, and more reliable methods to locate and repair hydrocarbon leaks across the oil and natural industry. FLIR Systems, has addressed that need with its intrinsically safe OGI camera - the GFx320. Through thoughtful design the GFx320 meets sensitivity standards such as those defined in US EPA's new OOOOa methane rule. Beneficially it also automatically tags files with the GPS data often required for regulatory reporting. Independent testing of the GFx320 to demonstrate compliance with the EPA’s NSPS 40 CFR part 60, subpart OOOOa sensitivity standard for optical gas imaging equipment was performed by the UK National Physical Laboratory (NPL). In these tests, the NPL confirmed that the FLIR GFx320 optical gas imaging camera is capable of imaging a gas that is half methane/half propane at a concentration of 10,000 ppm at a flow rate of ≤60g/hr from a quarter inch diameter orifice. The GFx320 optical gas imaging camera is capable of imaging a wide array of gas compounds, but was specifically designed to see the following hydrocarbons: Methane, Benzene, Propane, Butane, Ethane, Ethanol, Ethylbenzene, Ethylene, Heptane, Hexane, Isoprene, MEK, Methanol, MIBK, Octane, Pentane, Propylene, Toluene, Xylene and1-Pentene. For further information please visit www.flir.co.uk/GFx320 or contact contact FLIR Systems at [email protected] or +32-3665-5100. FLIR Systems, Inc. is a world leader in the design, manufacture, and marketing of sensor systems that enhance perception and awareness. FLIR's advanced thermal imaging and threat detection systems are used for a wide variety of imaging, thermography, and security applications, including airborne and ground-based surveillance, condition monitoring, research and development, manufacturing process control, search and rescue, drug interdiction, navigation, transportation safety, border and maritime patrol, environmental monitoring, and chemical, biological, radiological, nuclear, and explosives (CBRNE) detection. For more information, go to FLIR's web site at www.FLIR.com.